The Youth Entrepreneurs for Africa (YEA) is a group of North Shore high school students dedicated to making a difference for people living in extreme poverty through educating girls. We have started an initiative to launch our own social enterprise in Ghana in partnership with Create Change, a Vancouver-based registered charity that works to create sustainable change for people living in poverty in Ghana, West Africa. We plan to launch the Ghana Food Truck Project, a social enterprise which will provide skills and business training for girls living in extreme poverty. Any profit made will be reinvested into girls’ empowerment programs run by Create Change. Our team in Vancouver will raise the funds to purchase the food trucks, and pay for the training of students, initial operation costs, and the necessary marketing to launch the food truck business. To reach this goal, we will have to raise $50,000. We are partnered with Create Change, a Canadian registered charity with the mission of creating a self-sufficient model of charity that is run by empowered girls, in an effort to lead people out from extreme poverty. 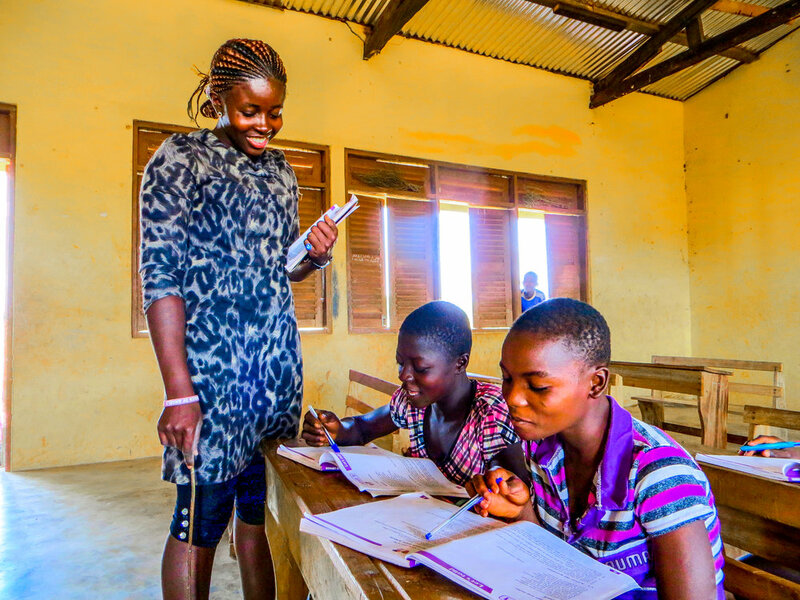 Since 2008, Create Change has empowered 400 Canadian youth and 1,450 girls in Ghana to become leaders of change, helping youth to help themselves and others. Its work is accomplished by training Canadian youth to develop marketing and business skills so they can fundraise, making its programs to create education and career opportunities for young women in Northern Ghana possible. Your support will have a twofold impact, as you will be empowering youth both locally and abroad. First, you will support youth in your community in our journey to become serious changemakers. The skills we are learning through this initiative will allow us to create meaningful change locally and internationally. Second, your support will create opportunities for young women in Ghana to gain skills that will truly change their lives. The business, marketing, and culinary skills that these girls will learn will not only make them financially independent, but change the lives of their families and communities as well. Please consider supporting our initiative by making a donation today!